The goal of my research is to develop methods and tools for practical program verification and debugging. I am especially interested in techniques that scale to large multi-threaded programs, detect bugs in real code efficiently, and do not report many false warnings. 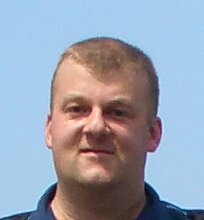 My current projects focus on (1) incremental analysis, verification and debugging of multithreaded programs, (2) static analysis of Java programs and its usage for improving scalability of software verification, and (3) using randomization to improve performance of error detection techniques based on state space traversal.